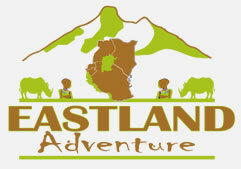 A Six -day trip to ascend Africa’s highest peak in Africa and highest free Standing Mountain in the world, using the popular Marangu Route. Expect a variety of landscapes, perhaps some wildlife on the lower slopes. This six-day trip to magical Kilimanjaro allows for extra acclimatization time, giving you an excellent chance of reaching the snow-capped summit. You will have a private vehicle to take you to and from the mountain; on the mountain, your accommodation on this ‘Basic’ category trip will be in comfortable huts. We depart Moshi for Marangu Gate for the necessary formalities before beginning our trek. The hiking trail begins by ascending a beautiful, tropical rain forest. At the upper edge of the forest line, we have the opportunity to see blue monkeys. The trail then widens to expose beautiful hillsides until we reach to Mandara Hut. We climb gradually then cross the lunar desert of the “Saddle” between Mawenzi and Kibo. 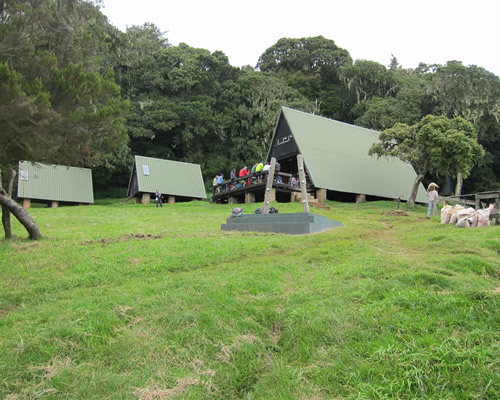 Our camp, Kibo Hut, sits at the bottom of the Kibo crater wall. Once here we rest, enjoy an early dinner to prepare for the summit day. You will wake up at 11pm for tea, snacks and dress warm, Very early in the morning at 12am, we begin our push to the summit. This is the most mentally and physically challenging portion of the trek. The wind and cold at this elevation and time of day can be extreme. We ascend in the darkness for several hours while taking frequent, but short, breaks. At Gilman’s point (18,600 ft/5685m), you will be rewarded with the most magnificent sunrise you are ever likely to see coming over Mawenzi Peak. You will hike for I hour to Stella point (18800ft/5756m), Finally you will arrive at Uhuru Peak- the highest point on Mount Kilimanjaro and the continent of Africa. After spending a few moments taking in the plains of Africa and your accomplishment, we descend to Horombo Hut for nap and brunch, Later in the evening; we enjoy our last dinner on the mountain and a well-earned long sleep.